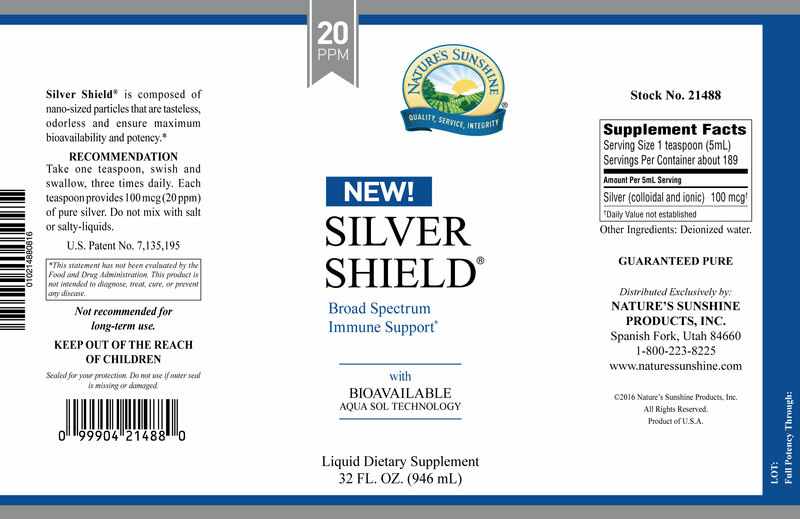 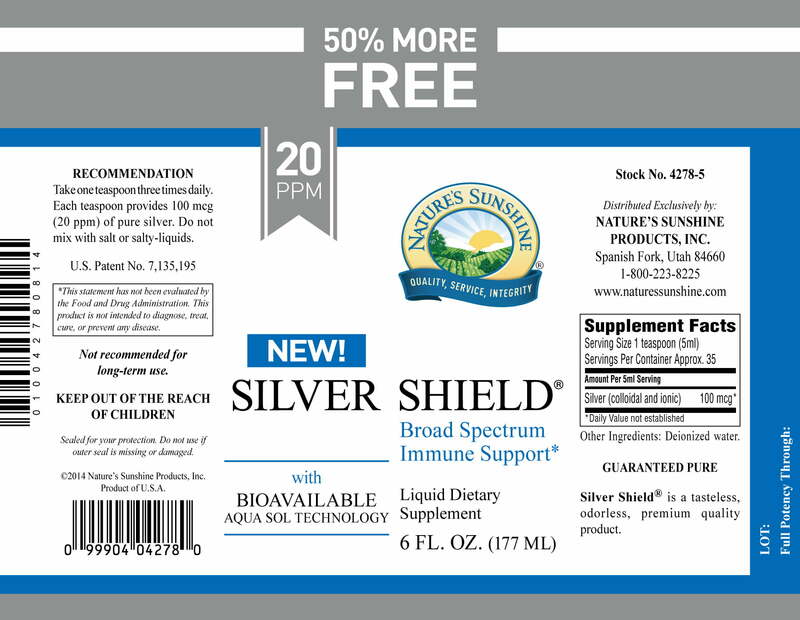 Nature’s Sunshine Silver Shield with Aqua Sol Technology provides the immune-supporting benefits of pure silver particles. The formula is non-toxic, and there is no risk of metal contamination when taking this product. 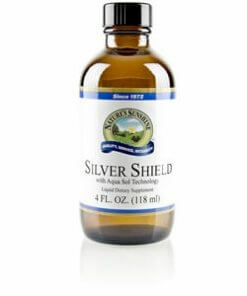 Silver Shield suspends silver particles in pure water through patented processes that undergo strict quality control. 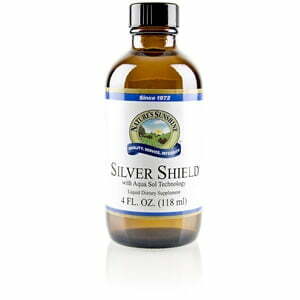 The nano-sized silver particles journey through the kidneys and colon and may not affect beneficial bacteria populations in the colon. 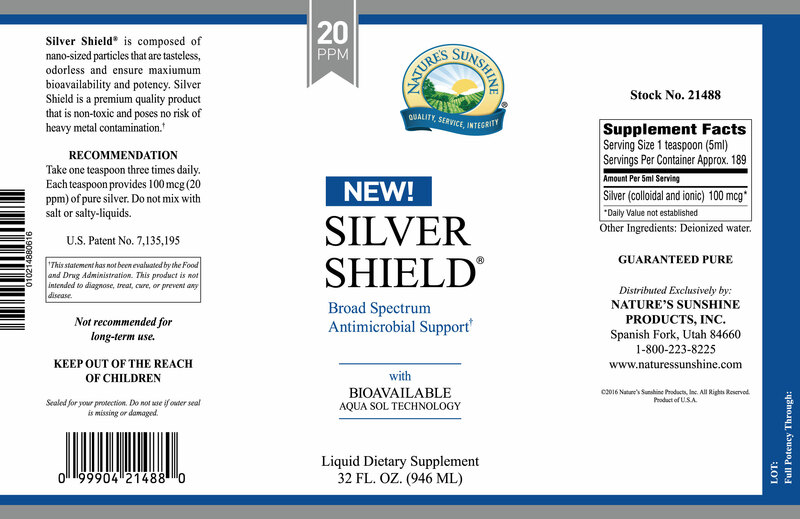 Each serving of Silver Shield with Aqua Sol Technology supplies the body with 100 mcg of pure silver.